Animal Assisted Interventions involve the use of specifically chosen animals in a range of activities or interactions with people that are designed to meet individual goals or objectives. These interventions usually form part of an integrated approach to care alongside health care professionals and progress is monitored and reviewed as part of programme planning. Animal assisted interventions can often bring positive results when other conventional approaches do not seem to work. Animal Assisted Activities are less specific and can include activities such as general animal care and husbandry. 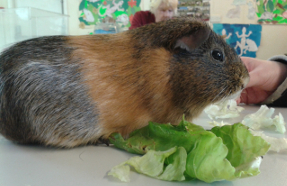 Activities are less goal focused and may be carried out with different people within a group such as animal handling 'meet and greet' activities. Most people are aware of the use of dogs to assist people with physical or sensory needs to go about their daily lives, but there is a long history of the use of other animals for their therapeutic qualities. Just being around animals and caring for them can be hugely beneficial both physically and mentally. It is now well documented that holding and stroking animals can reduce blood pressure and alleviate feelings of tension and anxiety. Animals are non-judgemental and give unconditional love, and for survivors of abuse can often be the first form of 'safe touch'. They are an excellent aid to communication and are always a good talking point, but they are also useful in assisting with non-verbal communication and have produced good results when working with people with autistic spectrum disorders and attention deficit disorder. Animal Assisted Interventions can be used to assist with maintaining mobility and improving co-ordination and people can learn transferrable skills to assist them in daily life. Many of the animals at the centre are 'rescue animals' having a second chance in life, and we will ensure that they have a permanent home with us. 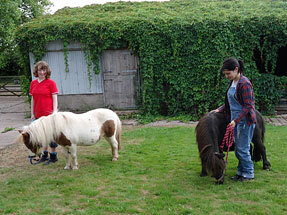 Hereford Community Farm works to the highest standards of animal health and welfare. All of our animals have been specifically chosen for their suitability for use in activities and are always handled under the supervision of trained and qualified staff. To ensure that animals are not over handled and to minimise stress we monitor the frequency and type of activities that they are involved in and give them 'rest periods' from use - for this reason we also do not open at weekends. 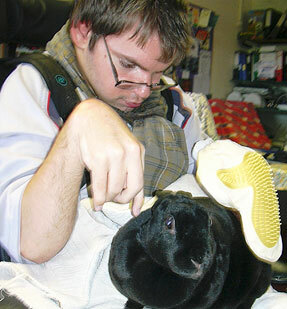 We have approximately 100 animals of 15 different species that we use in animal assisted interventions. This ensures that we can carefully match an animal to each individual and activity and we can provide a broad spectrum of involvement. 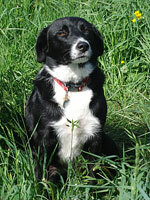 All of our animals are routinely health checked and all activities are risk assessed. Please contact us directly if you require further information on animal assisted interventions.